ArborScope™ (arborscope.com) is our web-based tree inventory and management programme. 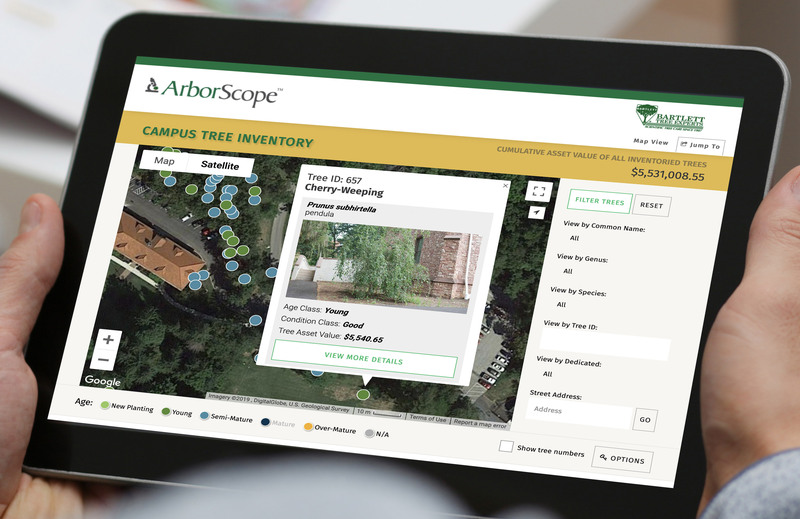 ArborScope™ is the latest in sustainable, high-tech landscape management software that allows tree managers to systematically track and plan for tree-maintenance needs. The programme allows for customization of each inventory and gives the client complete control over their data and access to their data. ArborScope™ overlays an inventory performed by BIS on top of Google™ Maps to provide a simple and efficient means of viewing, updating, and querying any collected information. Information can be displayed in map, table, and standard or custom report views.